Tie one on this holiday season! 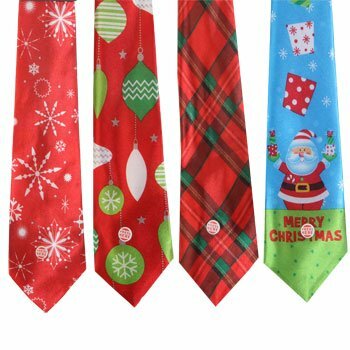 Colorful and jolly 51″ polyester ties sport festive designs and musical buttons that play Jingle Bells – you’ll be the hit of every holiday bash! Great for parties, gifts, stocking stuffers, door prizes, and more.